Philips presents the Dolby Vision-capable Ultra HD TVs and Ultra HD Blu-ray players at CES 2017. There are so many 4K Ultra HD TVs available at CES 2017. However, the real enthusiasm of television this year seems to surround DolbyVision. Philips is the latest company to announce products that include proprietary HDR (High Dynamic Range) technology. The company will provide the support of DolbyVision in all 2017 Philips 4K Ultra HD 6000, 7000 and 8000 TVs. Dolby Vision is a form holder of HDR technology which has a wide range of colors. HDR allows you to have video content in multiple steps between black more black and white whiter, which means that it can capture high contrast scenes such as sunsets, starfields, floor lamps and more, with more realism. In addition to DolbyVision, the 8000 series includes ChromeCast and Compatibility with Google Home, BrightPro Plus, Micro Dimming, Perfect Motion Rate 240, 4K Upscaling, 802.11ac Wireless LAN with MIMO Antennas, HDMI 2.0a, and HDCP 2.2 Sonic Emotion Premium- Sound. The 49-inch 49PFL8922 has an RRP of $999.99 and the 55-inch 55PFL8922 priced at $1,199.99 and the 65-inch 65PFL8922 priced at $1699.99. The 7000 series only requires one size - because it is a huge 98-inch. 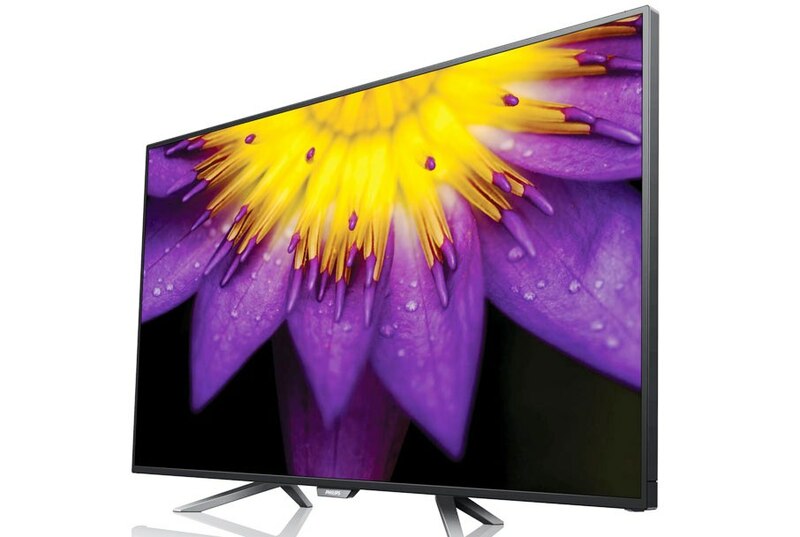 This 4K TV offers web applications via NetTV, BrightPro Backlight, Macro Dimming, Perfect Motion Rate 240, 4K Upscaling, Wireless Casting, Wireless 802.11ac Dual Band MIMO Antennas, HDMI 2.0a HDCP 2.2 and Sonic Emotion Premium Sound. Expect the 98PFL7902 sale this summer to find the price of $$19,999.99. Finally, Philips TVs of the 6000 series are equipped with NetTV, a BrightPro backlight, macro attenuation, a 120-perfect motion rate, a 4K magnification, a wireless transmission, a WLAN 802.11ac dual band wireless with MIMO antennas, HDMI 2.0a HDCP 2.2 And Sonic Emotion Premium. The 50-inch 50PFL6902, 55PFL6902 55-inch, and 65-inch 65PFL6902 begin at a price of $799.99, $899.99 and $1 319.99 and will available in April. The 43PFL6902 43 inch will come for $649.99, with 75-inch 75PFL6902 ($ 2799.99) and the 86-inch 86PFL6902 from ($999.99) and will be available in summer. "The HDR is a significant breakthrough in imaging technology that delivers tangible improvements in image quality, but DolbyVision goes on and transforms an HDR image into something that is truly impressive," said Karl Bearnarth, Vice President's Board Sales & Marketing of the exclusive partner of the North American licensing for large TV sets from Philips public and home video products. "DolbyVision is not only a wide dynamic range and a wider range of colors but also intelligent pixels that offer the best TV experience for consumers. Today, more than 80 studio titles are streamed on DolbyVision with another 100 hours of original content on DolbyVision by the leading OTT worldwide. DolbyVision is also soon to be available on the new Ultra HD Blu-ray versions, which are planned for launch in mid in 2017. Philips also plans to add DolbyVision Ultra HD Blu-ray Player BDP7502 4DP via a software update later this year. The newly announced drive comes with built-in decoder and HEVC VP9 to read the 4K contents of Netflix and YouTube. It also has a 4K upscaling, HDMI 2.0a output, audio output 1.4a, and Wi-Fi. Look for the BDP7502 in May and may come with a price of $299.99.